You asked for it: Hegelian dialectic. Sesame Street has deep poetic unity. 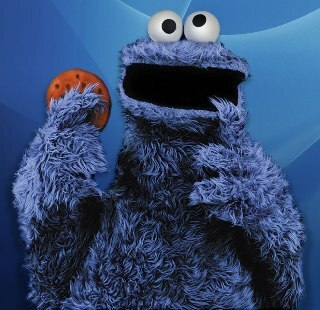 Each character has a paradigmatic vice: Cookie Monster has, obviously, greed for cookies, Super Grover is vainly convinced of the efficacy of his powers, Oscar delights in the ugly, and Big Bird wrings his hands in emergencies. Yet each vice, or indeed, hubris, springs from an underlying unity which contains the vice’s negation: in each character, some strong particularity of soul is responsible both for their vices and virtues. 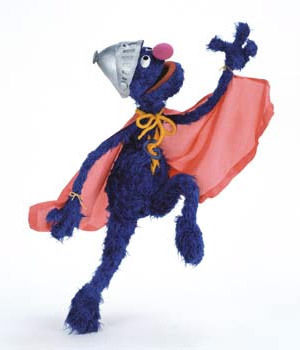 Oscar’s desire for the ugly proves to contain a secret sense that beauty while difficult, is the most important thing; Super Grover’s overweening nervous vanity is responsible for his cowardice but also his bravado and love of the noble (Grover, noble hero of heroes! 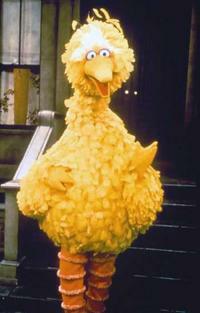 ); Big Bird’s difficulty in action comes from perceptual sensitivity, for he has true kindness and pity for suffering; while Cookie Monster’s hunger–not mere epithumia, but something like eros for cookies–in its very expansiveness, proves to include a deep generosity of spirit and willingness to be refuted (No, Cookie Monster, it’s an “O”, not a cookie!—Yes, you right, me wrong). Sesame Street’s ultimate teaching about democratic plurality has a basis in human nature that some democracies may try to ignore, or gloss over. The temptation is to ignore deep human differences so that the democracy can be more equal, but this is short-lived, because eros, hubris, all of it, will out. The better solution is to acknowledge difference: not difference in degree, as some oligarchists will claim, but difference in kind, real kind. When trying to categorize human error, there’s a modern sense that we all have the same basic inclinations, desires, and the same solution will be appropriate for us all. Ah, not so. Super Grover needs a different education from Cookie Monster: the problems that arise from the latter’s greed are Not the Same as those from the former’s vanity. Each’s vice is hardly understandable to the other. Yet presented to us, as characters who all have to live together in the same city, we can all find their trial and error truly funny. Thus, in portraying the Hegelian comedy of human nature, Sesame Street educates children in the geometrically-moderate understanding of how life in a community is possible: one must not expel the vices of people, lest one expel their virtues as well. Instead, these vices–or more precisely, inclinations which have vicious and virtuous tendencies–must be educated, the very thing Sesame Street is explicitly trying to do. And comedically, we can’t expect that the vices–these true expressions of human striving–will ever disappear; rather, our best friends will continue to display them. But our knowledge of what they mean takes the sting out of them, and lets the friendship continue; our very sense of this comedy harmonizes our relation to the city, and to our own powers. Watching Sesame Street is good for the soul. What is all this methodology business anyway?